Chelsea Farms is a current working model of environmental sustainability. 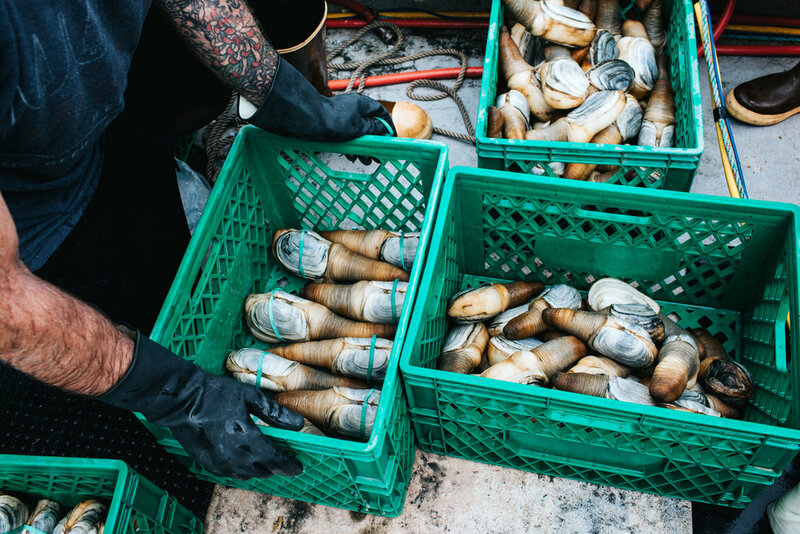 We have made a priority of farming the Olympia Oyster, a native oyster to Olympia, that was on it’s way to extinction. 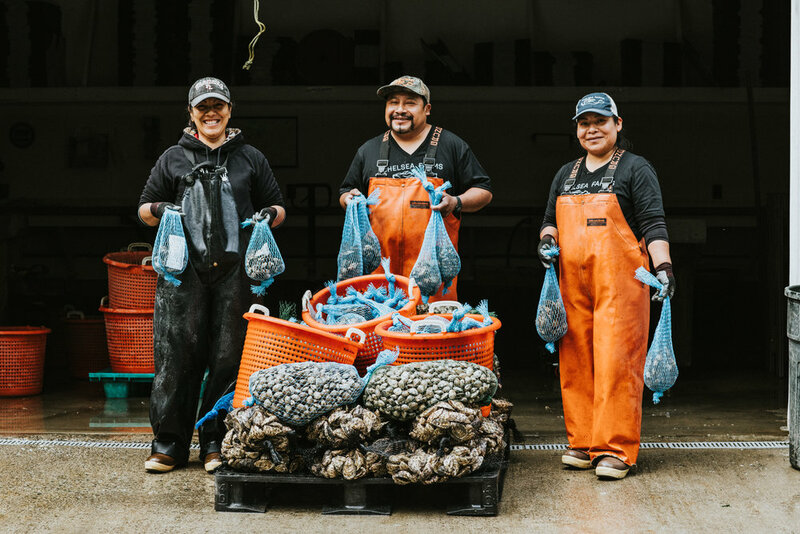 Chelsea Farms is a proud member with Pacific Coast Shellfish Growers Association. Sustainable farming is a key aspect to keeping the water clean. 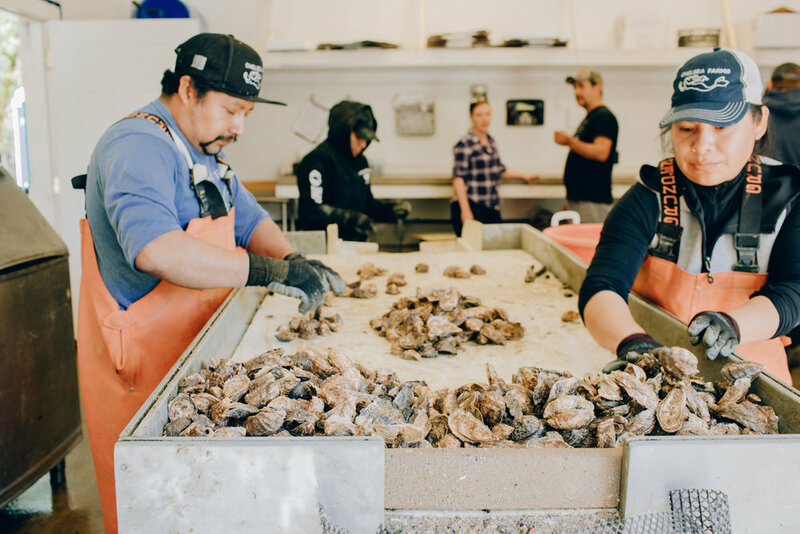 Water maintenance demands crucial attention while growing our Chelsea Gem, Bonita, and Olympia Oysters, along with our fresh clams and geoduck. 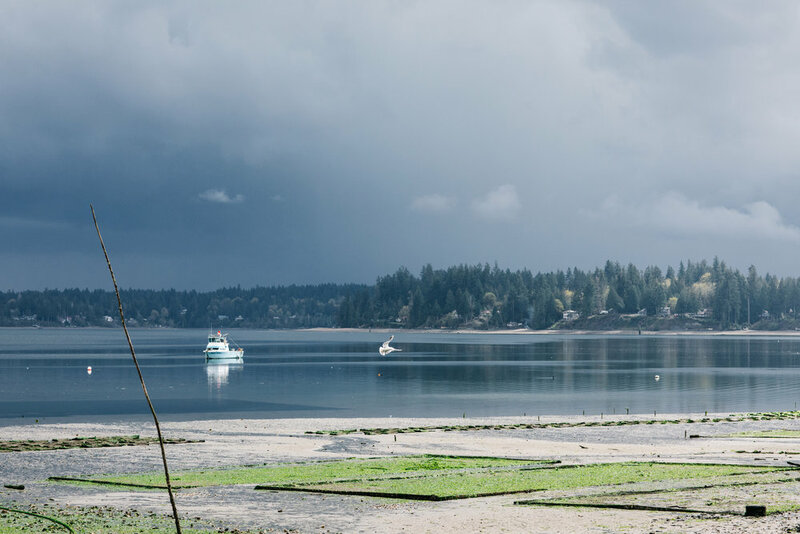 Education on the water and where seafood is sourced from is essential to the experience the Farm offers. What is a Chelsea Gem? 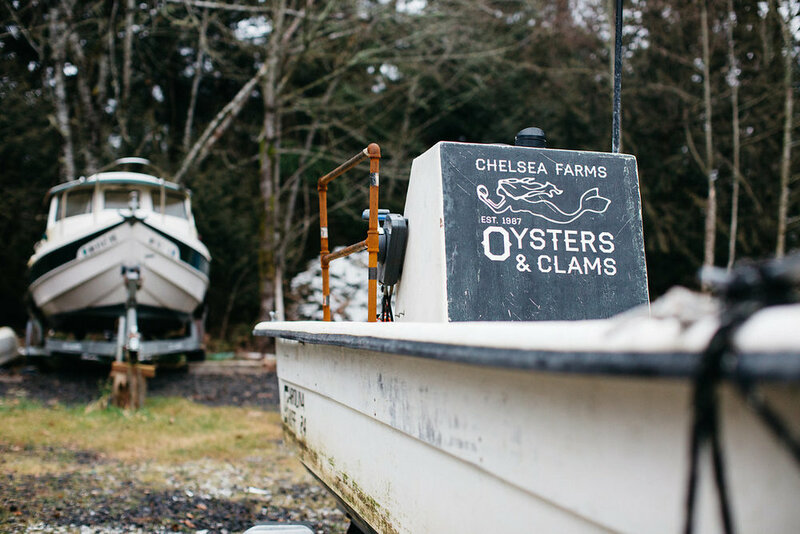 Chelsea Farms is well-known throughout the West Coast for their “Chelsea Gem.” This petite beauty is a tide tumbled Pacific oyster. The method of growing Chelsea Gems is original, grown in tumbled bags suspended by buoys in the water. This creates a completely new flavor profile that is clean, sweet, buttery, with a delicate touch of brine.